Swing by your local barbecue joint on the way home tonight and pick up some smoked pork (without sauce). You're going to want to make these mouthwateringly delicious sandwiches - and they'll only take you about 30 minutes to make, tops. You're also going to need a loaf of French bread, some provolone cheese, some sweet hot pickles and pickle relish, and some chipotles in adobo. The rest of the ingredients - mayo, mustard, parsley, lemons - you hopefully already have in your fridge. 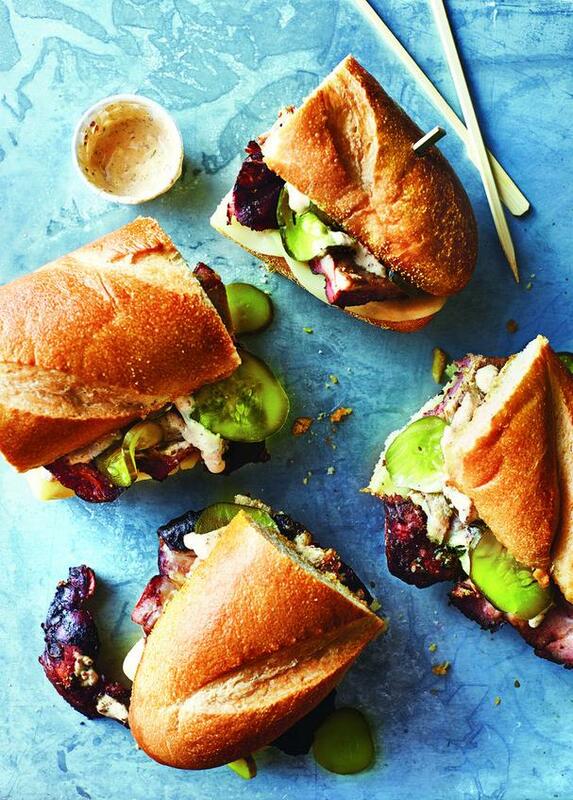 The recipe for these seriously easy Southern Style Cuban Sandwiches is from The South's Best Butts: Pitmaster Secrets for Southern Barbecue Perfection, the latest cookbook from author Matt Moore. The finger-licking delicious barbecue recipes featured in his cookbook are from the South's most revered pitmasters. 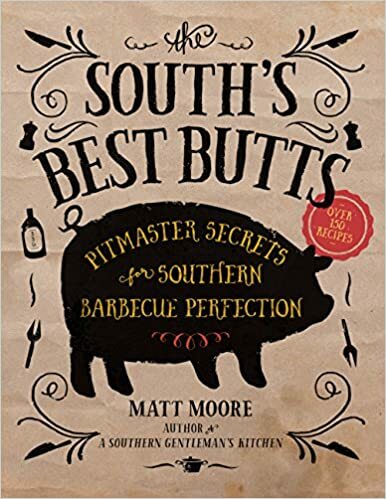 But Moore goes beyond recipes to explore the connections between meat, method, and sauce and how each varies across the South according to culture, climate, ingredients, and even wood used. It's a must-have book for anyone who loves to grill. Be sure to get his Cowboy Nachos recipe here! 2. Spread the inside of bread shells with the Chipotle Rémoulade. Layer the bottom shell with the smoked pork, provolone cheese slices, and sweet-hot pickles. Top with remaining bread shell. Cut into individual sandwiches. Traditionally, rémoulade is a mayo- and mustard-based sauce used as a condiment throughout Cajun country. But why limit this zesty condiment to just one region? A bit of canned chipotle pepper and its adobo sauce creates a sauce with new intensity and flavor.